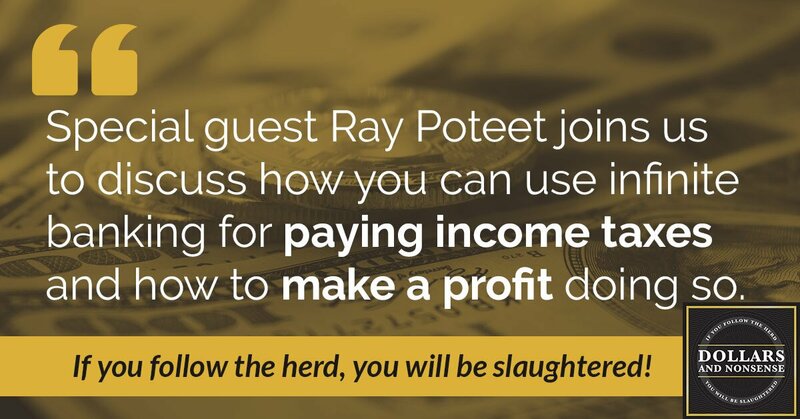 Special guest Ray Poteet joins us to discuss how you can use infinite banking to take the stress away from paying income taxes each year. Plus, he’ll share how you can actually make a profit doing so. Taxes are such a significant and stressful burden for most people. The good news is there is a way to not only reduce the stress of paying income taxes, but there’s also even a way to profit from them. For the last two years, Ray has shared with clients a system to recapture money spent on income taxes. Today, he’ll share it with listeners. Following the rules, pay yourself, pay yourself interest. Recapture, we’re recapturing every year by paying the policy off. What I think is given me the greatest joy is to work with professionals, accountants, bookkeepers, and our old agents, and them actually having become clients to use the system themselves and introduce their clients to this system. 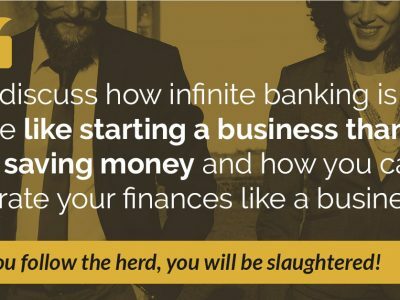 It is true that just the feeling of relief, control, and security that I’ve seen people get when they plug in the infinite banking system. It can make them feel confident, in control, in charge, and feel good about it. There is no longer a concern about taxes again.